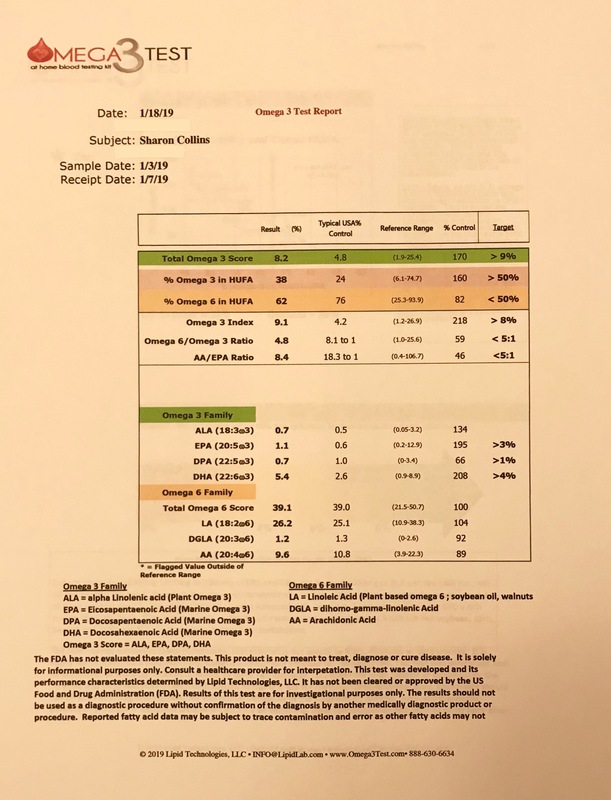 I discovered THE BEST TEST (IMO) for Omega-3 Index at a reasonable cost ($70.00). I got more information this way than any other testing I currently do. I had them conduct the test on me because I am not taking fish oils. I am using 2000 mg of Algae Omega-3 DHA. I wanted to make sure the product I was using was effective. I am pleased with the test and the results. The Algae Omega-3 DHA product I use is Source Oil (water extracted Chromista oil). 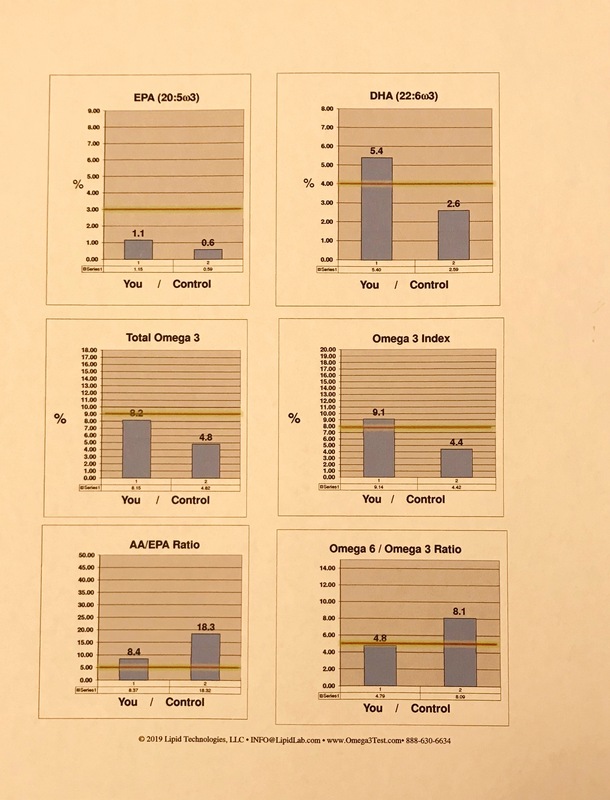 https://secure.source-omega.com/source-of-omega-3. Those of you who prefer plant-source Omega-3 will be pleased with the taste (liquid), also. ”Enclosed please find your omega 3 test results. This report details the relative amounts of omega 3 and omega 6 fatty acids in your blood. The main indexes of omega 3 status are the value for total omega 3 (omega 3 score) and the percent of omega 3 in HUFA. Total omega 3 levels are reported as a percentage. If you have a total omega 3 score of 5% that means that there are 5 omega 3 fatty acids for every 100 fatty acids in your blood. Most Americans have around 4% total omega 3, which is widely considered as deficient by experts in the field. The target for total omega 3 is 9%. This report also supplies your Lands’ test score or ‘omega 3 in HUFA’ (highly unsaturated fatty acids) score. 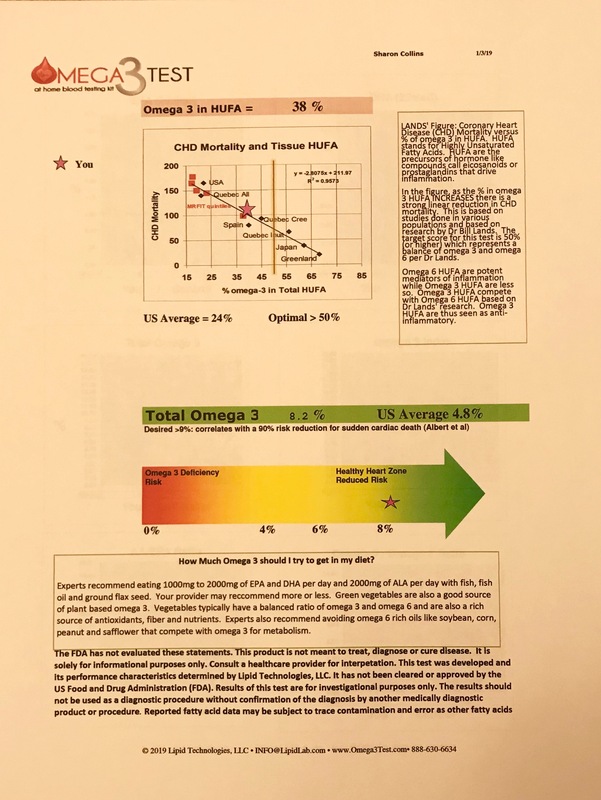 This score was developed by Dr Bill Lands and defines the relationship between omega 3 and omega 6 balance with respect to heart disease based on his research. Dr Lands’ recommends having a omega 3 in HUFA score above 50% or a level where both omega 6 and omega 3 HUFA are equal in our blood. The graphic, from Dr Lands, with this score in the attached report demonstrates the relationship between this score and heart attack death rates. If you are eating a diet rich in omega 3 and/or taking fish oil supplements, your omega 3 in HUFA is probably high. If you didn’t score so well, i.e., less than 35% it is time to think of some ways to increase your number. Experts recommend adding omega 3 rich fish to your diet on a weekly basis. Fish that are naturally rich in omega 3 include salmon, trout, sardines (canned is fine too), albacore tuna and menhaden. There are also a number of food items that are enriched in long chain omega 3 like omega 3 eggs, omega 3 juice, omega 3 cheese and milk. Experts also recommend supplementing your diet with omega 3 with a high quality fish oil supplement. The American Heart Association recommends that people consume at least 1000mg of EPA, DPA and DHA (the 3 main types of omega 3) per day. 1000mg of long chain omega 3 is about 3 capsules of fish oil per day. 2000mg would be 6 capsules per day. People often comment that 3-8 capsules sounds like a lot of fish oil. If you view this in the context of your normal daily diet you will see that this amount is only a small percentage of your daily fat intake and it is a healthy fat that you are using. We normally eat 80-100g of fat in our diets each day. Each fish oil pill is about 1g. So if we are eating 4g of fish oil per day that is only a few percent of our normal dietary intake of fat. The Food and Drug Administration states that up to 3000mg of long chain omega 3 (EPA, DPA and DHA) per day is safe. This is equivalent to about 12 capsules of regular fish oil (30% omega 3) per day. If you are looking for ways to balance out your omega 3 and omega 6 in your diet. There is an excellent resource by Dr Bill Lands called the Omega Balance Score system. This system ascribes a number or score to foods based on their level of omega 6 or omega 3. Dr Lands recommends reducing foods rich in omega 6 to promote omega 3 metabolism. You can find this program at www.EFAEducation.org and much more information on essential fatty acids by Dr. Lands.